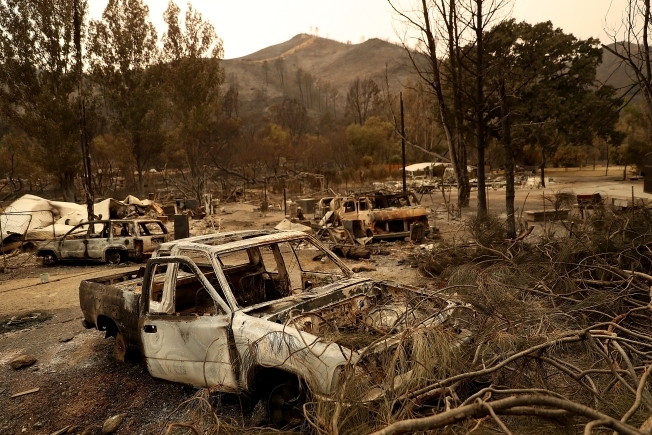 Burned out cars sit in the remains of a home that was destroyed by the Medocino Complex fire on August 7, 2018 near Clearlake Oaks, California. 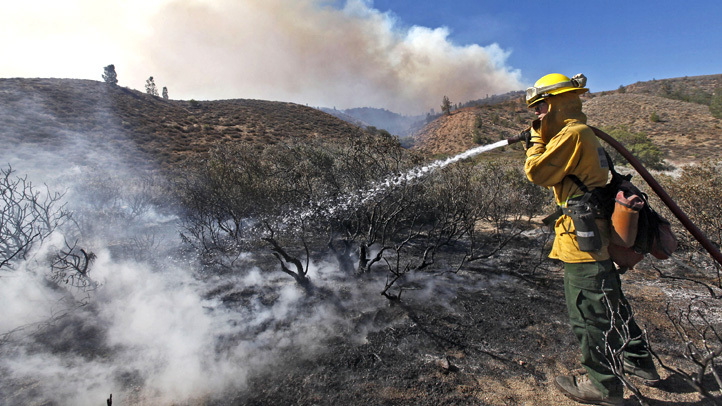 The Ranch fire was one of two side-by-side blazes dubbed the Mendocino Complex. 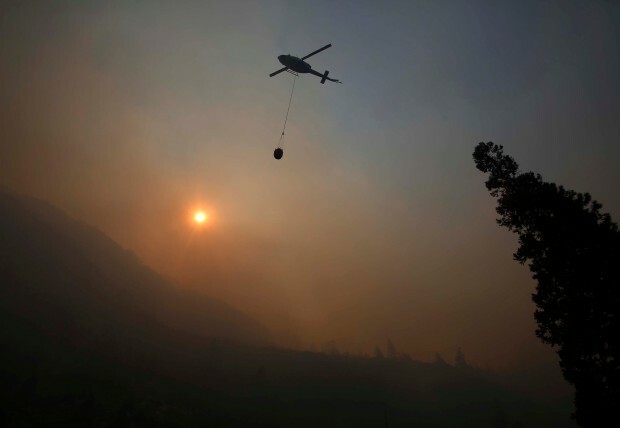 The fires erupted in July and burned more than 700 square miles of grass, brush and timber before they were contained.